The energy sector has probably undergone more rapid change in the last ten years than in the previous fifty. In a matter of a decade, shale gas production in the US increased by more than a factor of ten, taking US gas imports to their lowest level since the early 80s. 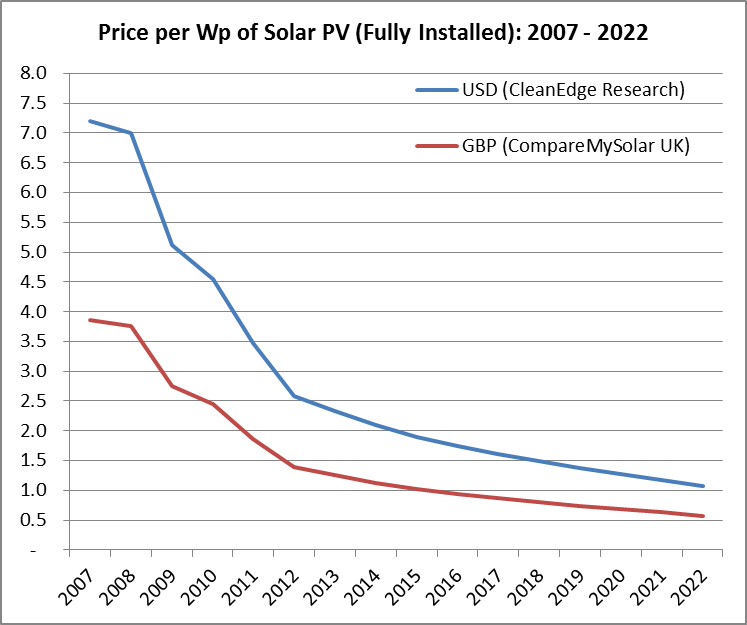 Solar costs have come down so considerably that solar as cheap as regular grid electricity in some parts of the world, despite prices being previously projected to increase over the same period due to poor availability of silicon feedstock. After the shock of the Fukushima disaster, many developed nations are exiting from nuclear, despite reasonable public and government support before the disaster. This graph shows the time-trend of dry shale gas production for the major shale gas producing formations. It clearly shows that the Marcellus Shale formation got off to a relatively late start but quickly became the national production leader. With that rate of change in mind, I can confidently predict that the next ten years will be just as unpredictable as the last. Nevertheless there are trends appearing that lead me to think that the headlines we’ll be reading about energy in 2030 will be largely positive. China’s national emissions trading scheme had some teething problems after starting in 2017, but by the early 2020s the scheme was responsible for fifty percent of China’s emissions reductions. The presence of the scheme reduced concerns about carbon leakage and competitiveness in other countries, leading to more countries starting their own emissions trading schemes. All countries included the energy sector in their nascent schemes, with knock-on impact for fossil-energy prices and the attractiveness of investing in renewables worldwide. After the European Commission decision to rectify the over-allocation of allowances in the EU Emissions Trading Scheme, the European and Chinese schemes were able to link. By the mid 2020s, the new Latin American and Canadian-Californian schemes had begun negotiations for inclusion, paving the way for a global carbon price by 2030. This means that there is one price, applicable all over the world, for the right to emit a tonne of CO2 into the atmosphere - providing a simple and powerful incentive to make the switch to clean energy. In 2013 the US stopped investing in new coal-fired projects overseas, that same year the World Bank Group limited its financing of new coal projects and in 2015 the Norwegian Sovereign Wealth Fund pledged its intention to divest from coal. Spurred on by increasing focus on the long term risk associated with stranded assets, pension funds and other institutional investors followed suit throughout the 2020s, switching to investing in renewables on a global scale. By 2030 there is over $1.2 trillion annually invested globally in renewables, more than five times the investment into fossil fuels. Many developed countries fell well behind their energy efficiency targets in the 2020s due to lack of public engagement. Consequently governments were forced to focus more on decarbonising energy generation, leading to increased financial incentives and reduced regulatory barriers for household and community renewables ownership. In 2030, individual and community energy generation contributes to more than fifty percent of the energy mix in developed countries, up from less than five percent in 2016. Not only that but research shows that these areas have significantly higher uptake of energy efficiency technologies, vastly reduced energy consumption, and much lower resistance to previously divisive technologies such as onshore wind. Widespread electrification of transportation and heat, the move to a smart grid, and the vastly increased need for energy storage created huge opportunities throughout the 2020s for new companies to get involved in the energy sector. As expected, progressive incumbents and start-ups led the field initially, but in 2030 the market is dominated by companies previously strong in other sectors. Food retailers are using distributed cold storage assets to provide large scale and affordable energy storage, vehicle manufacturers are selling energy management as a service, and IT departments of major companies have moved from a cost centre to a profit centre by utilising their UPSs to provide half hourly grid-balancing. These established companies know what market conditions they need for their new products to prosper, and how to get them. In 2030, the energy lobby looks very different. Powerful voices once concerned with agricultural subsidies or air quality targets are now asking for cost-reflective energy pricing and the removal of fossil fuel subsidies. The vested interests of the past are finding that their grip on power is in decline.